Documentary which traces the story of Live Aid from its humble beginnings, a pop tune cobbled together in the back seat of a taxi, to the eve of the biggest televised event ever. 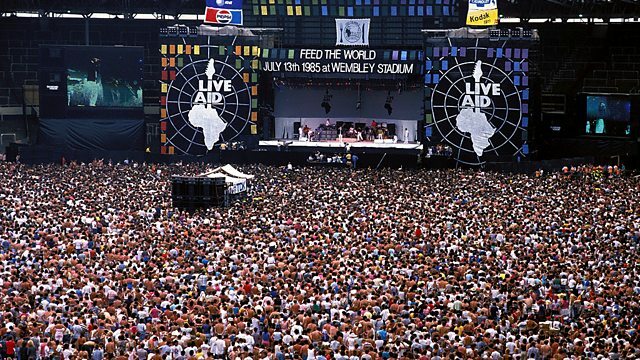 Documentary which traces the story of Live Aid from its humble beginnings, a pop tune cobbled together in the back seat of a taxi, to the eve of the biggest televised event ever staged on both sides of the Atlantic. Against the background of Thatcher's Britain, one scruffy, fading rock star - Bob Geldof - recalls how he and his motley band of pop idols, rock and roll Del Boys and unpaid do-gooders tried to pull off the impossible - a global televised concert, never before attempted, to save the lives of the starving millions in Africa and force the Establishment to sit up and take the problem seriously. With only weeks to go before the big day, Geldof had no stars on board, no line-up, no broadcaster and no venues - all he had was a date in the diary. The film tells the story of the race against time to put together the biggest event in pop history. Geldof remembers how he blagged, bluffed and lied to coerce the biggest stars of the day, while they - Elton John, Queen, Paul McCartney, David Bowie, U2 and others - recall how they finally buckled under the pressure.